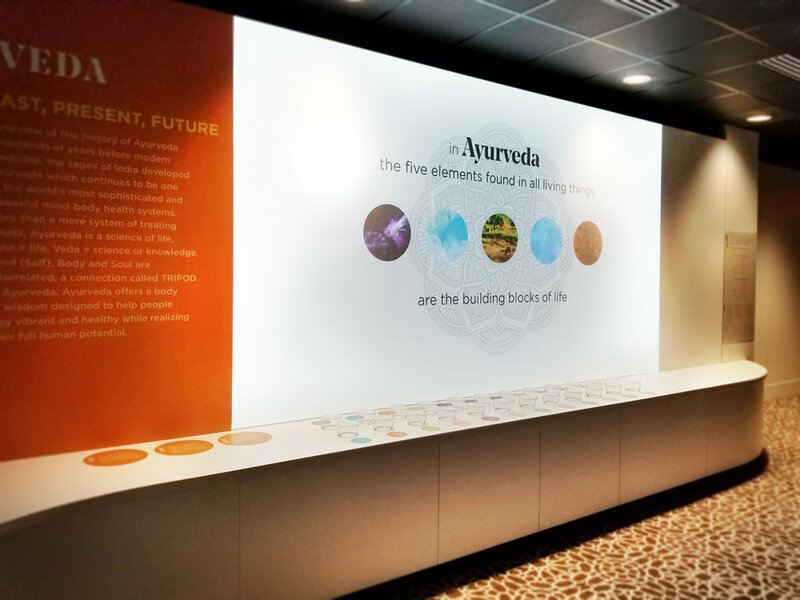 With the opening of the new YO1 Wellness Resort in Monticello New York, our client needed a space where resort guests could learn about the various Ayurvedic Therapies that are at the center of the experience for guests. It was important that guest be able to learn about these therapies in a fun and engaging experience. 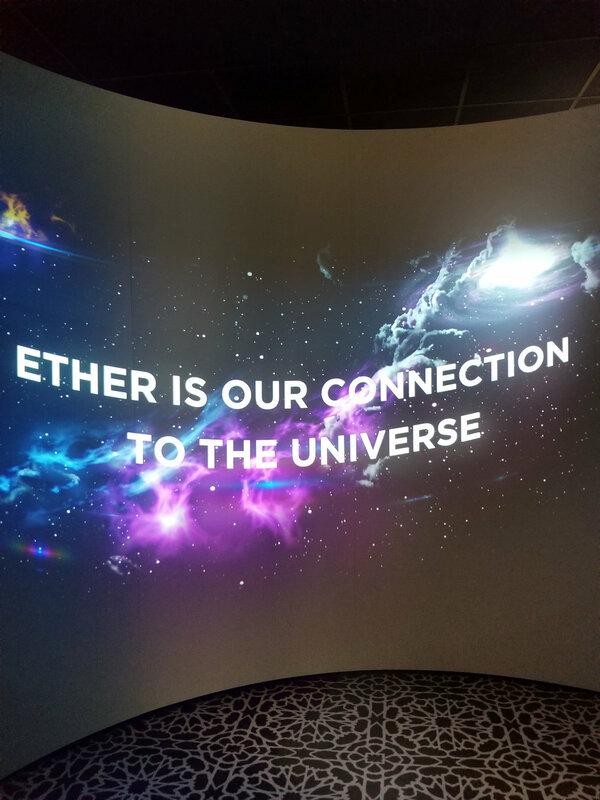 We designed an experience that is simultaneously immersive, interactive and educational. 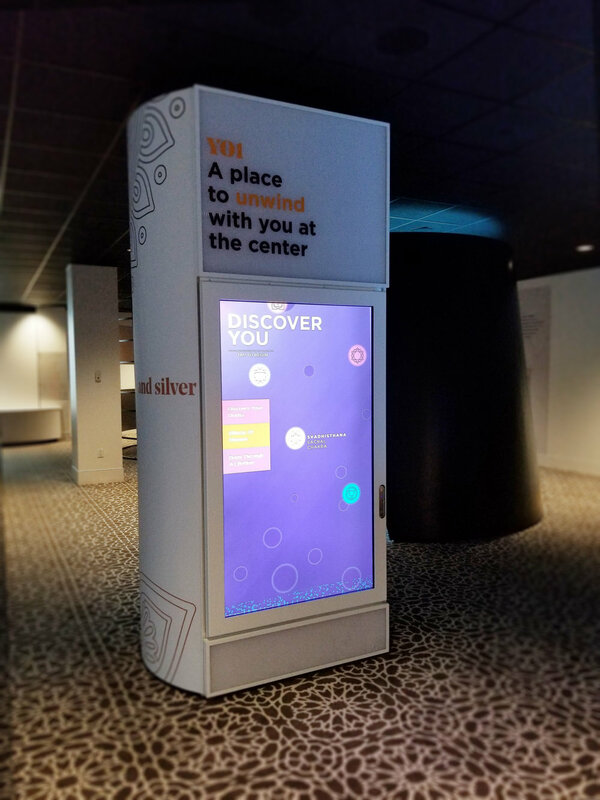 We wanted visitors to be able to connect to the stories of these therapies in an unconventional ways. 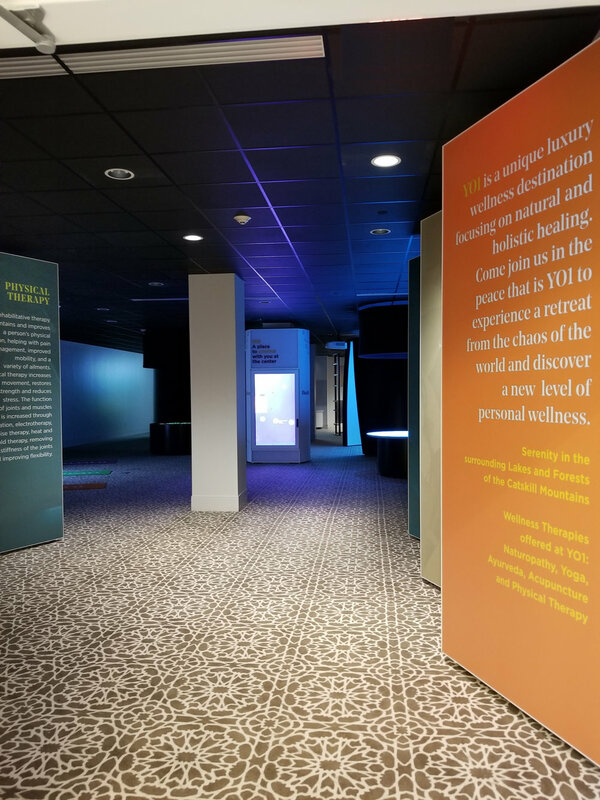 The experience of the wellness museum was envisioned as a personal journey and at the center of that journey was the guest (You) with an interactive quiz that allows guests to answer questions to determine their Doshas. 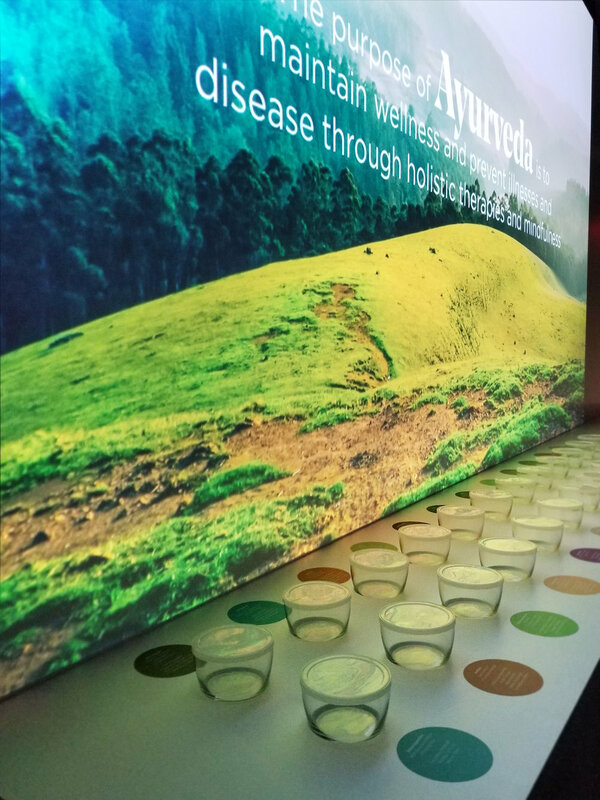 Surround the centerpiece You interactive exhibit are the five core elements of Ayurvedic therapies: Earth, Air, Fire, Water and Ether (space). 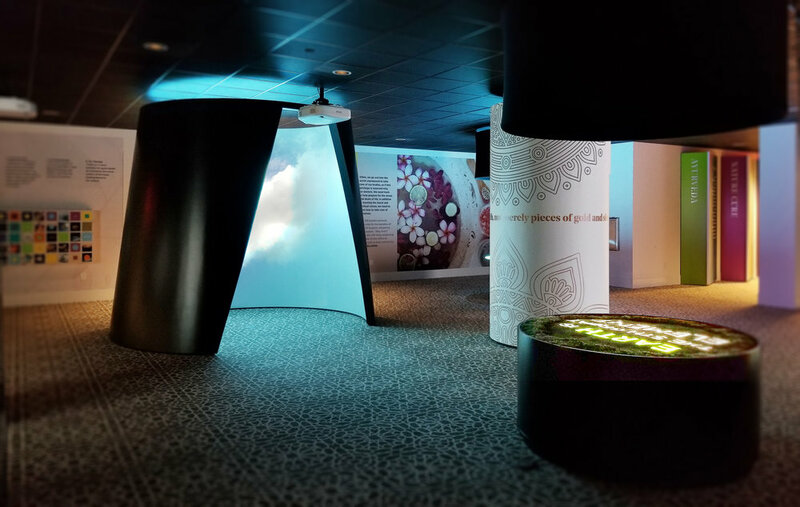 For these we wanted to create sensorial immersive environments using, imagery, sound, touch and smell as the core of each of the experiences. 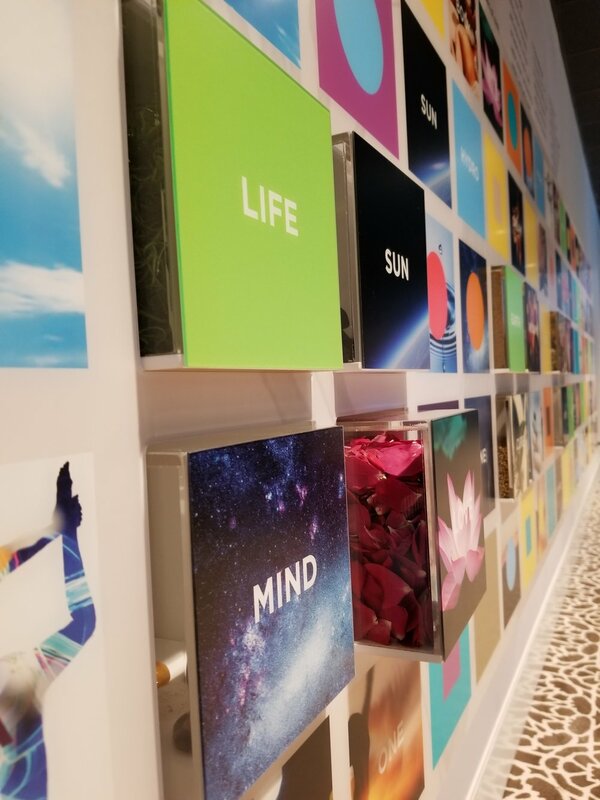 Beyond the five elements, at the periphery of the space, we designed interactive exhibits that touch on the different therapies: Yoga, Ayurveda and Naturecure (homeopathic health) which allows guests to explore the meanings behind the importance of each of the therapies offered at YO1. Project Team: Emily Conrad (Experience Design and Project Management), Joe Karadin (Physical Design), Derek O'Connor (Visual Design and Creative Direction), Sadie Coughlin-Prego (Interaction Designer).